Some people claim that classroom learning is useless. I disagree, I think taking a Chinese course is a good idea for a number of reasons. It gives you structure, makes you accountable and provides a steady stream of things to learn. While you can manage all this on your own, it’s difficult unless you already are an experienced language learner. For example, choosing suitable content is not easy and it’s easier to slack off if you have no exams and no external requirements to do anything. Enrolling in courses becomes less important the more advanced your Chinese is, mostly because your own goals and the objectives of the course will diverge more and more. You also know much more about learning the language, what you need to improve and so on. What you actually need is tutor time plus some coaching now and then. You can go to class if you want the accountability and the social aspects, but it’s not really necessary. 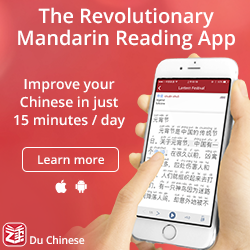 For beginners and intermediate learners, it’s essential that you compare your current studying habits, the goal of the course you’re enrolled in and you own long-term goals for learning Chinese. Identify the differences and address them. If you need help with this, you might want to check out my course where this is one of the first things we do. Now that I have made it clear that going to class is a good start and that you should do it unless you really know what you’re doing, it’s time to look at some of the things you will miss if you just follow the curriculum. In other words, what do you need to compensate for on your own? Thinking that your course will give you everything you need is a serious mistake! This cannot be emphasised enough. If you go to class with the hope that it will give you everything you need, you’ll be disappointed. The problem is that you will only find this out later, when you realise how much you have missed. Since you’re reading Hacking Chinese, you probably care more about this than the average student (otherwise you wouldn’t have read this far, even if you found the article). That’s a good start! 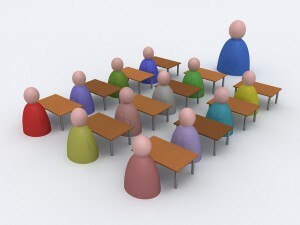 The goal of this website is to provide you with all those things that courses typically don’t. 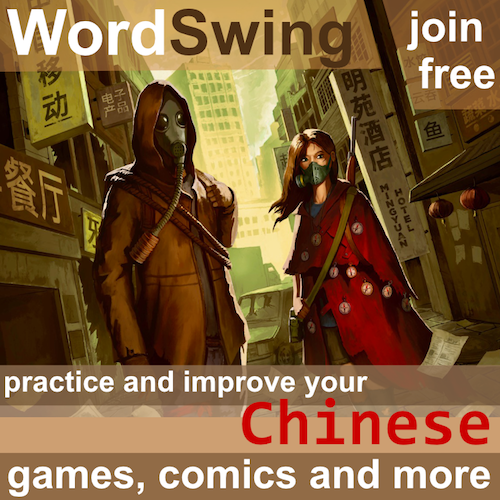 In fact, the tag line of the site used to be “everything that you need to know about learning Chinese but no-one will tell you”. Although a bit hyperbolic, it still described the spirit of the site accurately. Below, I have described a few key areas where you will encounter problems if you just do what’s required of you in class. Naturally, some courses are better than others and will suffer less from some of these problems, but I have yet to find a course that covers all of these areas well. No or bad treatment of how to learn – This should be obvious by looking at the rest of the articles on Hacking Chinese. 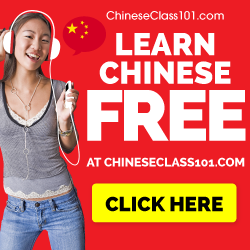 Few teachers understand what it’s like to learn Chinese as an adult foreigner and even fewer can teach how to learn characters, pronunciation and grammar. Not enough listening practice – This is a very serious problem. Listening ability is sometimes not graded at all, and if it is, it’s dictation of known words or sentences (or variants thereof). If you want to understand the ordered chaos that is spoken Chinese, you need tons and tons of practice. Your course will not give you this. Not enough speaking practice – At expensive language schools, this is less of a problem, but if there are more than 5-6 students in your class, you will not get anywhere near the amount of practice you need, even if you go to class for hours everyday. You need to make friends, start language exchanges or something else. Online or in real life. Not enough focus on pronunciation – This is a pet peeve of mine. Pronunciation is usually covered in the first few weeks, then mostly ignored. Very good students don’t receive much feedback because they are already better than the average (low standards) and bad students receive no feedback either (treated as hopeless cases, while in fact they’ve never really been given the chance). In any case, you’re mostly on your own when it comes to pronunciation. Not enough variation – Even if you have the perfect teacher, listening to and speaking with one person is not enough (sorry, your classmates don’t count). You need varied input from a large number of native speakers. This is important both for speech sounds and tones, but also for understanding regional accents. My research about tone learning is about this; check out my free tone course if you need help with basic tones. As you can see, many of these stem from the fact that you don’t have enough time in class (although this could be addressed through homework). You can’t really blame your teacher or school for this since they presumably can’t offer you unlimited amounts of teaching time unless you pay for it. Now that we have covered what you will miss if you just go to class, it’s time to discuss what you will get too much of if you do. This is relevant, because without this, it could be claimed that the real problem for teachers is that they don’t have enough time. While this is true (see above), there are certain things that are covered in many courses that aggravate the problem. You will also get your fair share of weird examination and training methods. I talked briefly about this when it comes to pronunciation here. 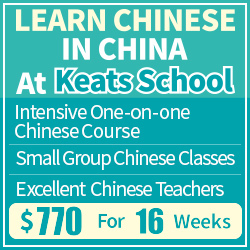 What do you think about the Chinese courses you have taken? What do you think is missing from the courses you have taken? What did you spend too much time on in class that you really didn’t need? What could be done about this (apart from spending more time)? Taking a course is a good way to start. But someone who yearns to be fluent in Chinese has probably more motivation than most of the people who attend such courses. And the teacher has to teach everyone. Therefore one shoud not settle for it. I feel that I have made much more progress with self-learning than with the course I have taken. But perhaps it is thanks to the basis I had learned in class that I was able to make progress on my own. For me, with topics that have a plethora of good online resources available the classroom experience has always been about structure and accountability, not actual learning. The actual learning portion I acquire outside of the classroom by taking the structure, learning it and being successfully held accountable for it. The major problem I have with private and college level education programs is that the accountability often isn’t strict enough to adequately facilitate real learning. I could speculate that strict programs have found that it directly correlates to lower enrollment and profits. They can also charge more money for longer or more frequent in-class hours in an attempt to circumvent that lack of learning happening outside of the classroom. Yes, I agree that this is the actual situation. However, this is not what most people expect when they sign up to learn a language or pay money to do so at a language school. It also took at lest me a while to figure this out, which is why I wrote the article. When it comes to strictness, it definitely depends on the institution and the level you’re studying. In general, though, I agree that much more can be achieved than what is normally required!